Ayurvedic Skin Care and Hair Care Products for Kids Girl @ Biotique. Disney lightweight nourishing lotion for Kids Girl. 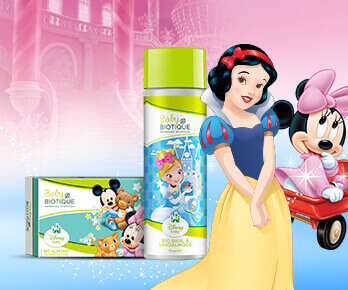 Disney 100% soap free body wash for Kids Girl. Disney 100% soap free shampoo for Kids Girl. Disney clear nourishing soap for Kids Girl.